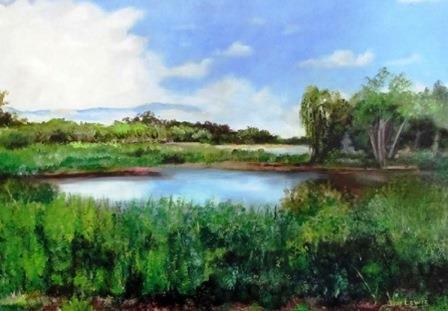 Judy is passionate about art and involved in the community through seminars, demonstrations and teaching. 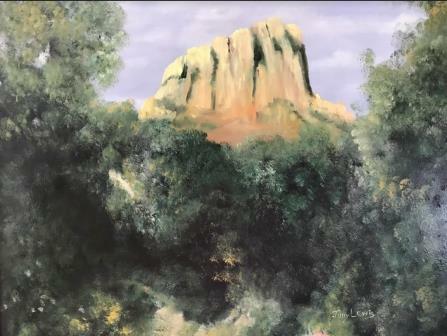 Through High Desert Artists, she is part of a group of volunteers who teach seniors and other interested Yavaipai County, Arizona residents how to paint in weekly sessions at the local Senior Center. 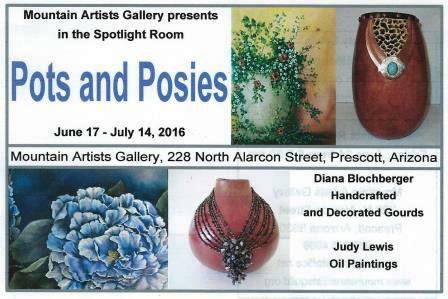 She has also curated Miniature Art Shows at the Mountain Artists Gallery in Prescott, Arizona. 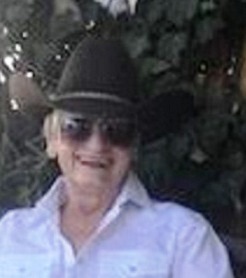 Judy resides in the high desert outside Chino Valley, Arizona, where she enjoys the beautiful scenery and gardening challenges. 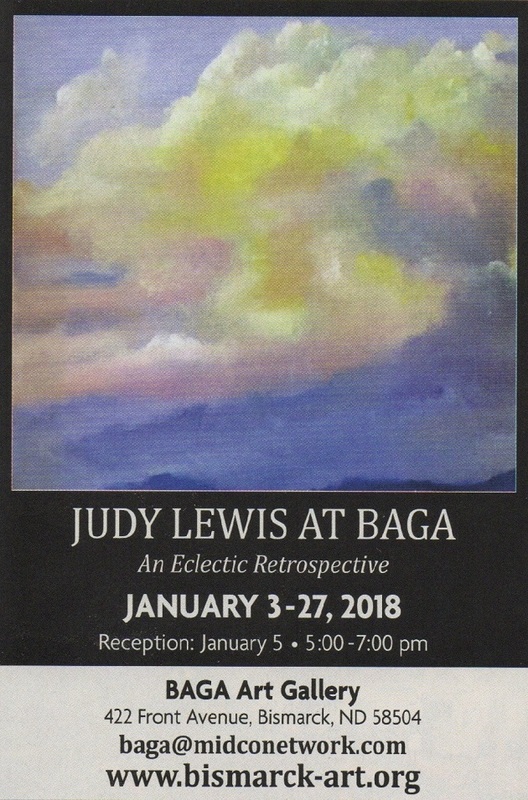 One of Judy Lewis's minis was a Jurors Choice Award winner in the BAGA Fall Art Show 2018. 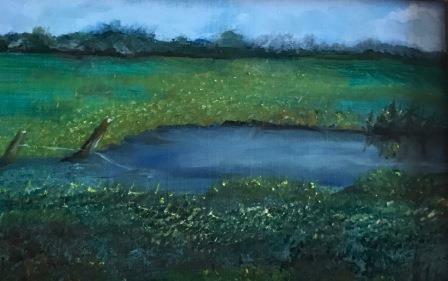 Mini was titled "The Slough" a 3" x 5" SOLD Congratulations, Judy!